Planned to Perfection – a monthly column by Bijou Wedding Venues. Spring is a time for new beginnings, so what better time to book your wedding date for a year from now (or sooner). As beautiful country grounds will be coming in to full bloom during the spring, try and visit a collection of wedding venues that you think might meet your wedding day expectations. Visiting a wedding venue a year in advance will give you a great idea of how the light and grounds may look a year on. Embrace the beauty of the grounds and gardens that surround your wedding venue and when it comes to your spring wedding theme, speak to your florist about extravagant floral décor, your wedding cake designer about something indulgent and your stylist when it comes to decorating your wedding reception elegantly. The weather may also be lovely in spring and if you’re planning a wedding around the Easter weekend, you may not even have to think of a theme. Who are Bijou Wedding Venues? Bijou own and manage a collection of luxurious, exclusive use wedding venues located in Surrey, Hampshire, Berkshire and Buckinghamshire and North Norfolk. All of their wedding venues offer complete exclusivity for 24 hours, along with exquisite grounds, a five-star service, an in-house catering team, use of a proprietary online planner and more. 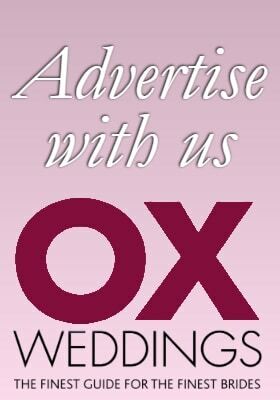 Visit bijouweddingvenues.co.uk to find out more.